Obstruction lighting and aids to navigation for windmills etc. Dialight provides a full array of low-, medium- and high-intensity obstruction lighting and aids to navigation for Wind Turbines, Towers, 3G/4G masts etc. All products are based on the latest technology and designed to withstand harsh weather and environmental conditions. Obstruction Lighting represent a very important factor in connection with erection of Wind Turbines. 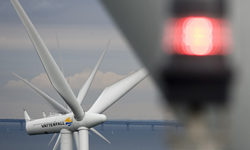 The Obstruction Lights are mounted on top of the Wind Turbine to mark the obstruction and to prevent primarily aircraft collision with the turbine /navigation aid . Dialight works very actively with the Wind Turbine industry and always in accordance with ICAO, FAA, IALA and international standards in order to design products and solutions that are optimal for any Wind application whether onshore or offshore. Above selection will guide you to Dialight's LED Obstruction Lights. 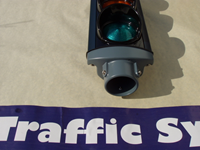 If you need further information do not hesitate to contact Traffic Systems.